As President and CEO of Advancing Synergy, LLC, Dr. Arti Patel Varanasi is passionate about developing innovations that build stronger communities and enable all individuals to lead healthier and longer lives. Specifically, she is interested in leveraging technology to address noncommunicable disease (NCD) prevention and management and increase health equity. An example is the development and evaluation of a technology platform to support a virtual navigation program for low-income breast cancer patients. Arti has over 25 years combined experience in cancer research, advocacy, capacity building, public health, and project management. She is an advocate for improving the training of postdoctoral fellows and was one of the founders of the National Postdoctoral Association in 2003. 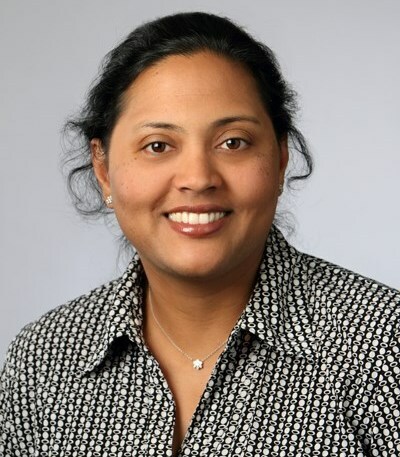 Arti was a fellow in the National Cancer Institute’s Cancer Prevention Fellowship Program from 2001-2005 where her research interests focused on nutrition, immunity and cancer prevention. Arti received her PhD from the University of North Carolina at Chapel Hill and MPH from the Johns Hopkins University. Her doctoral research focused on understanding the genetic and epigenetic alterations that contribute to the development of mouse lung tumors. Arti is also a graduate of the National Science Foundation funded ACTiVATE® program for women technology entrepreneurs. This award-winning program launched her journey into entrepreneurship. Arti is committed to developing future leaders and entrepreneurs, especially women, in health and beyond. She recently completed her term on the National Advisory Council for Nurse Education and Practice appointed by Department of Health and Human Service Secretary, Kathleen Sebelius. She is an active member of the health, technology, and entrepreneurial communities in the DC-Maryland-Virginia area and serves in the following roles: Steering Committee member for the NCD Roundtable in Washington, DC, Board of the Howard Tech Council (HTC) based in Howard County, MD, Chair of the HTC Women in Technology-Central Maryland group, Co-Chair of the HTC Health Tech Innovators group, and Vice Chair of the Virginia-based Women in Technology Women Business Owners Special Interest Group.